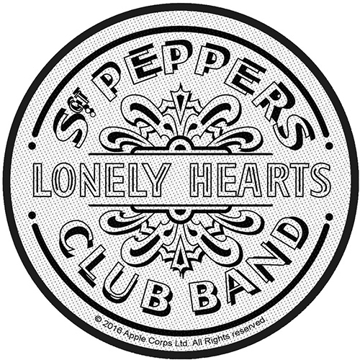 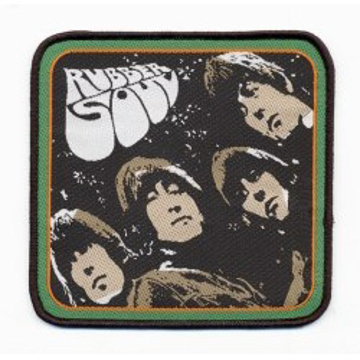 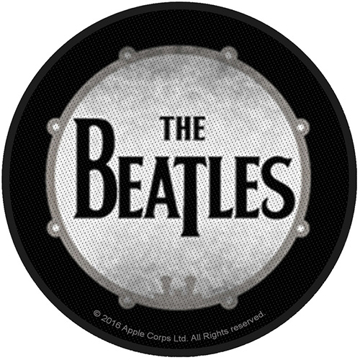 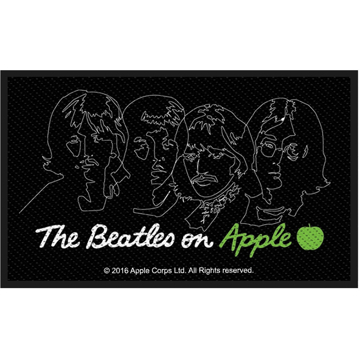 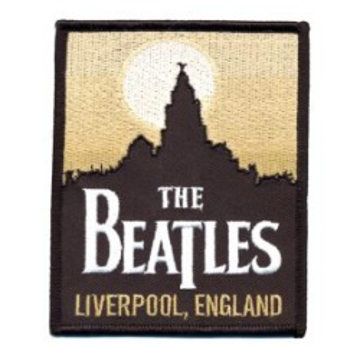 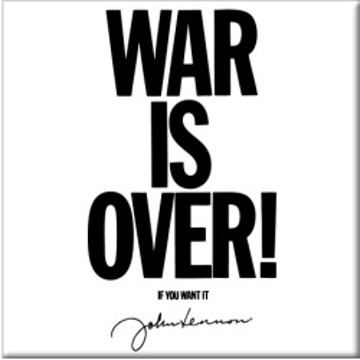 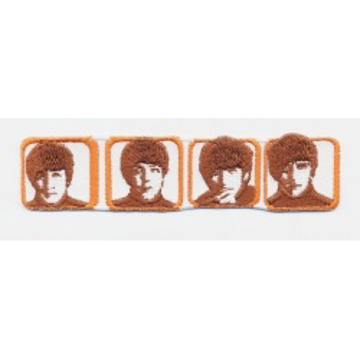 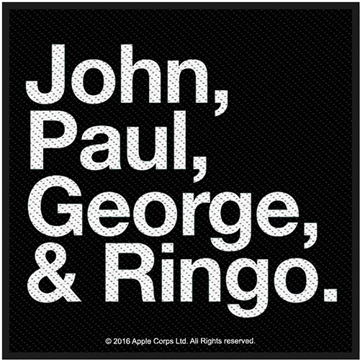 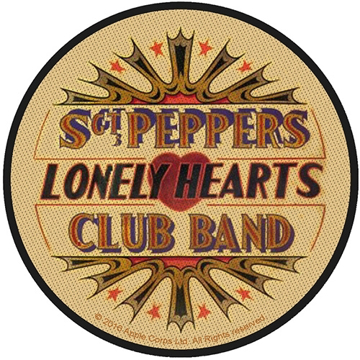 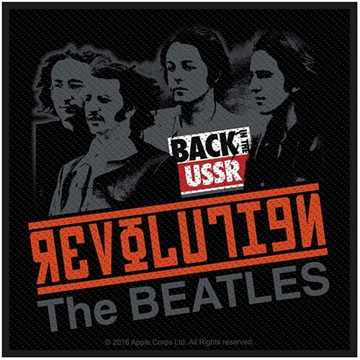 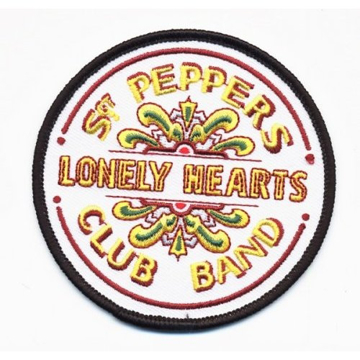 The Beatles Iron on Patch: 'Apple & Logo' design motif. 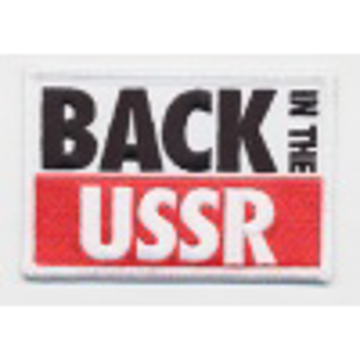 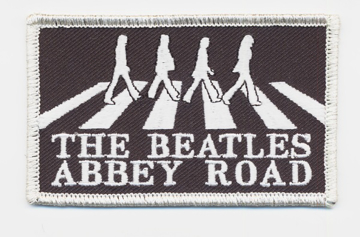 This is a sew-on woven patch, made from polyester, with standard backing and an overlocked edge. 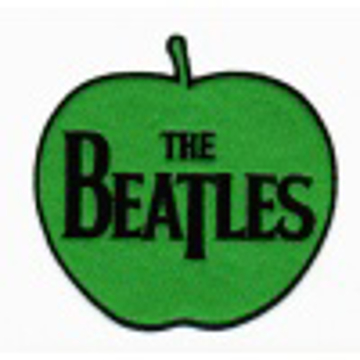 The Beatles Iron on Patch: Apple Records Logo 3.5 x 4.5 inches embroidered Iron on. 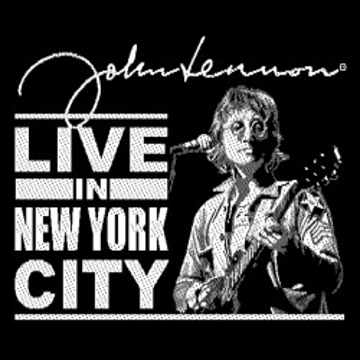 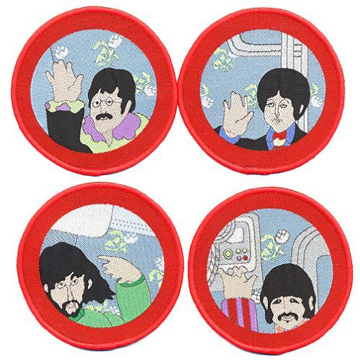 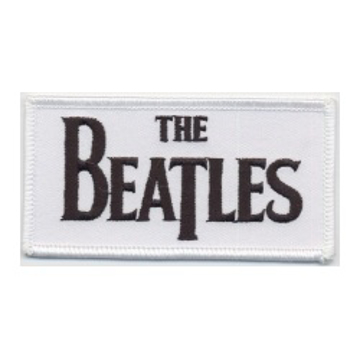 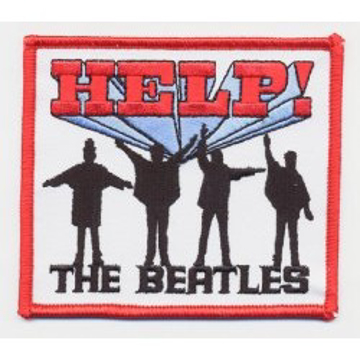 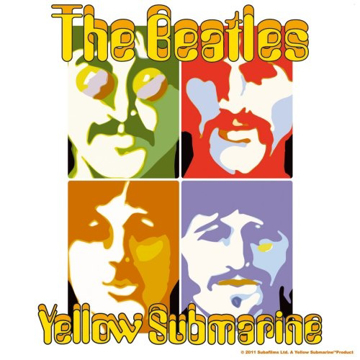 Beatles Patches: Drop T Logo "Black on White"
An officially licensed Standard Patch featuring The Beatles 'Drop T Logo' design motif. 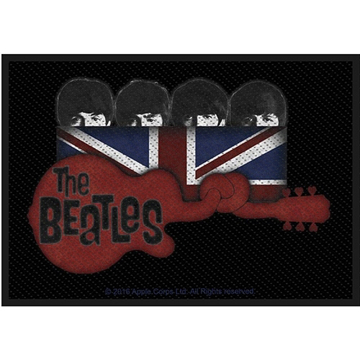 Black embroidery on white background.